The corpse of Nigerian man identified as Obinna, who died last year after suffering a heart attack, has arrived Nigeria eight months after his demise. The deceased was said to have fled to his friend’s house to hide as Indonesian immigration officers were after him in December 2017. He suffered a heart attack while he was seating on a chair. The immigration officers broke the door and found him dead on the chair. 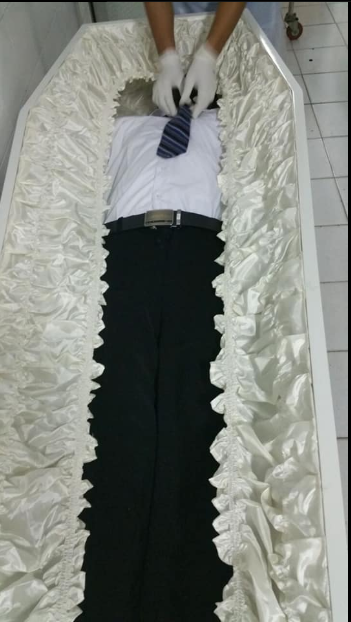 His corpse which was since deposited in a morgue – left Jakarta, Indonesia for Lagos, Nigeria, on Sunday, August 12th ahead of his burial.